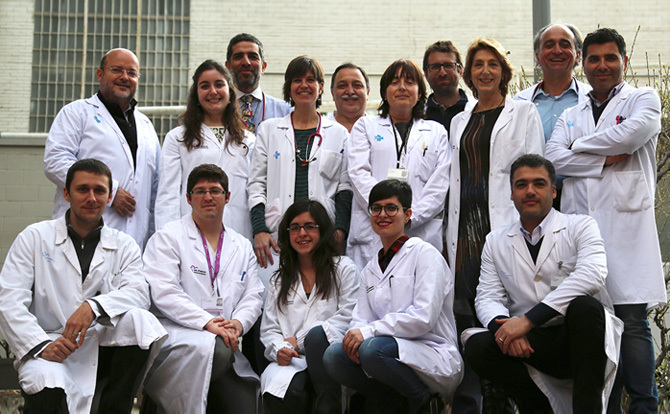 We are an interdisciplinary group of basic scientists and physicians devoted to the study of pathogenic mechanisms of renal diseases including inherited rare tubulopathies, tubular injury-regeneration processes and cancer, interstitial fibrosis in chronic kidney disease, and focal segmental glomerulosclerosis. Our aim is to discover novel diagnostic and prognostic biomarkers, as well as therapeutic targets to develop new solutions for diseases that are currently with no treatment. Fig 2. Scanningelectronmicroscopy of vascular corrosioncasts in control and KAP Tgmice (Circulation. 2009;119(14):1908-17). Fig 5. TranscriptomicAnalysisWith Mouse AffymetrixMicroarrays in kidneys of KAP Tgmice (Circulation. 2009;119(14):1908-17).